Petonoquot, Cary “Egg” - of Saugeen First Nation #29, suddenly at Grey Bruce Health Services Southampton on Wednesday June 4, 2014. Cary Beverley “Egg Man” Petonoquot at the age of 51 years. Missed terribly by his partner Cheryl Besito. Beloved father of Issac Petonoquot, Cheyenne Ritchie, and Shawna-Lee Petonoquot; and cherished grandfather of Avery and Darby Ritchie. Dear brother of Joanne Mason (Theodore), of Saugeen, Leslie Jr., of Vancouver, BC, Gene and Paul King (Cory), both of Saugeen, and Barbara Charlebois (late Ken), of Midland. Sadly missed by his many nieces and nephews. Predeceased by his parents Leslie and Winnie (nee Nashkewa); brother Maitland; and sister June King. The community will fondly remember Egg for his love of people, terrific sense of humour, and his willingness to always lend a helping hand. Visiting at the family home (6408 Hwy 21, Saugeen First Nation) on Tuesday from 2-4 and 7-9 PM. 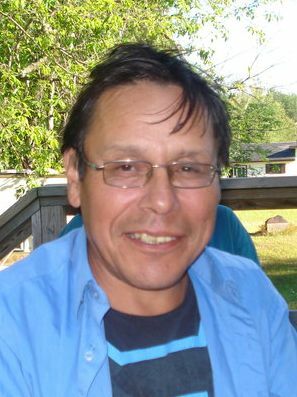 A service to celebrate Egg’s life will be conducted from the James Mason Memorial Recreation Centre, Saugeen First Nation on Wednesday, June 11, 2014 at 2 PM. Cremation to follow. Donations to the Heart and Stroke Foundation would be appreciated. Arrangements entrusted to the Thomas C. Whitcroft Funeral Home & Chapel, 814 Bruce Rd. 8, Sauble Beach (519) 422-0041.